Sony is very close to breaking even with PS3 manufacturing costs, with the loss now down to less than twenty dollars. The bad news for Sony is that the company is still losing money on every PlayStation 3, they good news, however, is that that amount is getting smaller all the time. In December, the loss on each unit was $37, but now, just a few months later, it's down to just $18, less than half of the December total. Considering the loss at launch was rumored to be in the hundreds of dollars, that's a very impressive reduction indeed. "We think we've bottomed out and we can do fairly well going forward," Sony Chief Financial Officer Nobuyuki Oneda told the Wall Street Journal. Sales of the PS3 are up, at 33.5 million units, and are closing the gap with the Xbox 360. 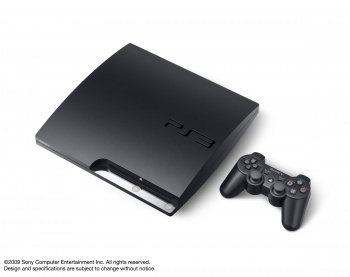 Sony is now estimating it will turn a profit on the PS3 by 2011.